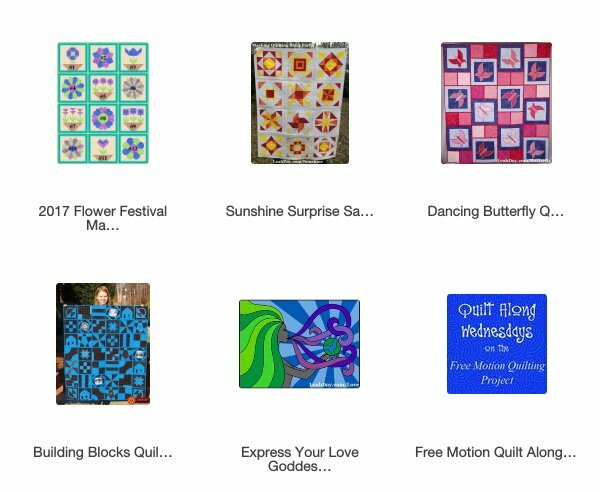 In 2009, I started a blog called the Free Motion Quilting Project and set out to share 365 free motion quilting filler designs with the world. That original quilt along project took many years to complete and by the time it was finished, I knew I wanted to share more than just designs, I wanted to teach quilters how to use them in real quilts. Each quilt along is a little different from the last and the number of posts have varied from 20 to over 100! Some years we have created multiple quilts together and other years we've made just one quilt block by block. Every year has been a wonderful learning and growing experience with quilters around the world. I feel so fortunate to be able to teach online via videos which means I can teach everyone who wants to learn and I don't have to travel away from my family. Many quilters have been quilting along with us for several years and built amazing skills for quilt piecing and machine quilting. Join the Upcoming Quilt Along! Our newest quilt along in 2018 will feature quilts from the new book Explore Walking Foot Quilting with Leah Day. Together we will piece and quilt three quilts and quilt them with walking foot style quilting. Click Here to check out the upcoming schedule and materials list. You do not need to sign up, register, pay dues, give us your firstborn child, or your fabric stash in order to join any of our quilt along projects. Most project are guided by a pattern or book and once you buy it, you're ready to go. All of our previous quilt along projects are still online and available to create anytime. Click the links above to read more about each quilt along project and find links to the book or patterns you need.